Partly cloudy early followed by scattered thunderstorms this afternoon. High 64F. Winds SSE at 10 to 20 mph. Chance of rain 50%..
Thunderstorms this evening with a few showers possible overnight. Low 47F. Winds SSW at 10 to 20 mph. Chance of rain 90%. Waterford High School senior Haleigh Reindl was an All-Racine County first team selection last season as a junior. It was more out of curiosity than anything else. 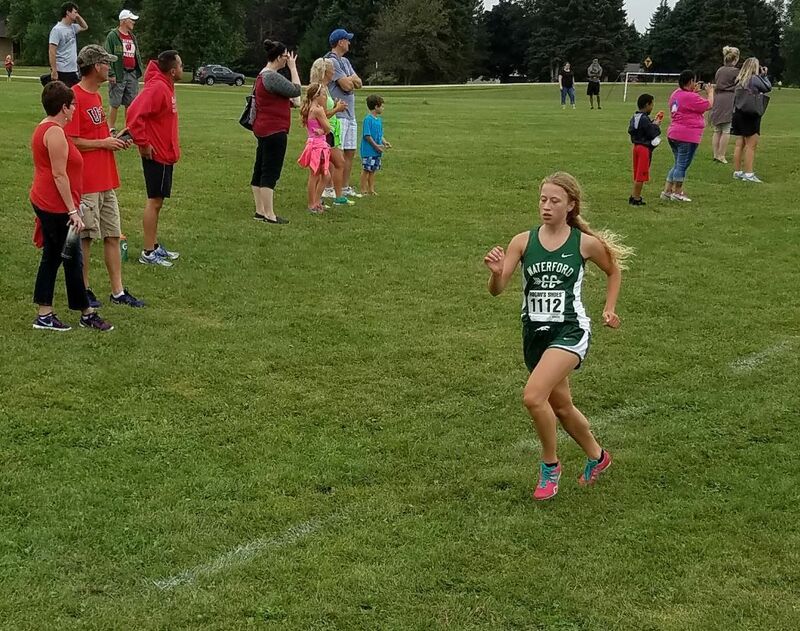 While having a casual conversation with her father, Haleigh Reindl, then in seventh grade, wanted to gain some insight on his athletic career as a runner at Marinette High School in the early 1970s. Haleigh learned her dad, Peter, excelled in track and cross country, finishing third in the 400 dash at a WIAA Division 1 sectional meet his senior year. Haleigh was also curious to see her father’s high school letter jacket. Her father accommodated her by going upstairs of their home and retrieving it from his closet. “It was maroon colored and his whole letter jacket was just covered with medals,’’ Haleigh said. Haleigh said she then picked up the jacket to further inspect the medals and was startled. She’s well on her way to achieving that goal. Now in her third year as a standout runner for Waterford High School, Haleigh has collected an array of medals. She garnered a bunch of them last season when she emerged not only as one of the best track runners in the county but in the entire state. The 5-foot-3, 110-pound Reindl culminated an exceptional season by finishing sixth in the 800 run at the WIAA Division 1 state meet in La Crosse. She posted a time of 2 minutes, 13.82 seconds, which was a school record and a mere 2.69 seconds behind the winner, Cami Davre of Whitefish Bay. While Davre is back for her senior season, Waterford coach Michele Sittig believes Reindl could track her down at this year’s state meet, which will be held June 2-3 at La Crosse. Sittig said she’s impressed with Reindl’s commitment to be the best. “Haleigh works hard, really hard,’’ Sittig said. “She’s quite possibly the hardest-working kid I’ve ever been around. She works hard in the offseason, getting in her mileage, and she works hard in practice. And make no mistake Reindl wants to win a state title in the 800 this year. She trained religiously last summer, running almost every day, and then in the fall, she set the Waterford school record in cross country with a time of 20 minutes, four seconds over 5,000 meters. Now, during this track season, Reindl is showing signs that she will be a state champion contender in the 800. Sittig said Reindl’s improvement is reflected in her times, which are considerably lower from a year ago. Reindl acknowledges she’s in a good place as a runner these days and that she’s ready for the challenge that awaits her.